Trove: Leveraging Hydra for Art and Art History. 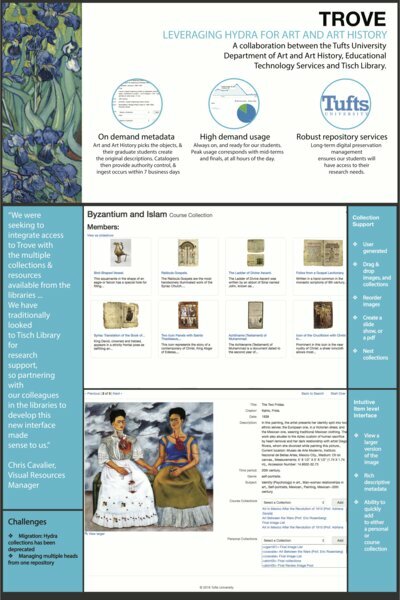 Poster for the 2016 Hydra Connect conference, highlighting the collaboration between the Tufts University Department of Art and Art History, Educational Technology Services and Tisch Library. Institutional repositories -- United States. Digital libraries -- United States. Send Comment about Trove: Leveraging Hydra for Art and Art History.